SrIperumbUthUr – Ani aSwini (yesterday) – http://sriperumbuthur.blogspot.com/2016/06/june-2016-week-5.html . SrIvaishNava granthams – SrIvaishNava lakshaNam Part 10 (SrIvaishNava dhinacharyA – Part 1) – https://srivaishnavagranthamshindi.wordpress.com/2016/06/29/srivaishnava-lakshanam-10/ based on https://ponnadi.blogspot.in/2012/08/srivaishnava-lakshanam-10.html – Hindi translation by kEshav swamy and jAnaki ammangar . Full series available at https://srivaishnavagranthamshindi.wordpress.com/srivaishnava-lakshanam/ . thiruvAimozhi 2.10.8 – valam seydhu – http://divyaprabandham.koyil.org/index.php/2016/06/thiruvaimozhi-2-10-8-valam-seydhu/ – English translation. Full series can be viewed at http://divyaprabandham.koyil.org/index.php/thiruvaimozhi/ . rAmAnusa nURRanthAdhi pAsuram 26 – http://divyaprabandham.koyil.org/index.php/2016/06/ramanusa-nurranthadhi-26/ – English translation by raghurAm swamy. Full series can be viewed at http://divyaprabandham.koyil.org/index.php/2015/07/ramanusa-nurranthadhi/ . SrIperumbUthUr – Ani rEvathi (yesterday) – http://sriperumbuthur.blogspot.com/2016/06/june-2016-week-5.html . 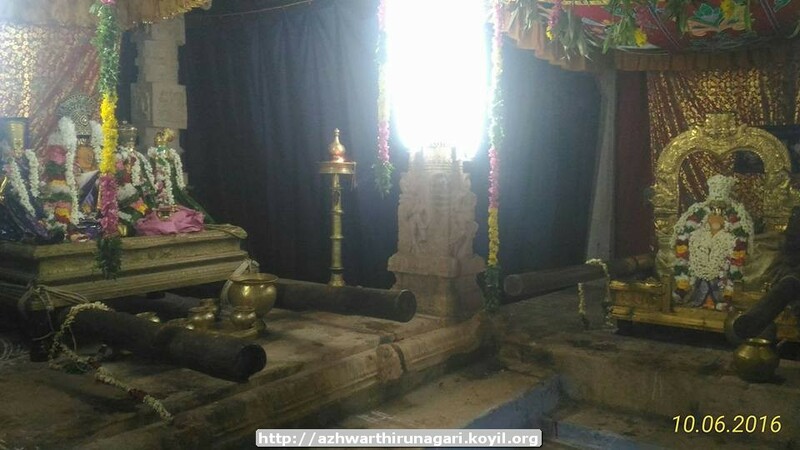 thiruvallikkENi – narasimhar brahmOthsavam vidAyARRi (day before yesterday) – http://thiruvallikkeni.koyil.org/?p=573 . dhivya prabandham – thiruvAimozhi 2.10.7 – nalamena ninaimin – http://divyaprabandham.koyil.org/index.php/2016/06/thiruvaimozhi-2-10-7-nalamena-ninaimin/ – English translation. Full series can be viewed at http://divyaprabandham.koyil.org/index.php/thiruvaimozhi/ . SrIperumbUthUr – Ani uthrattAdhi (yesterday) – http://sriperumbuthur.blogspot.com/2016/06/june-2016-week-5.html . bhagavath gIthA – Commencement of second chapter – first 3 SlOkams added in http://githa.koyil.org/index.php/chapter-2/ based on http://githa.koyil.org/index.php/chapter-2-original/ . thiruvAimozhi 2.10.6 – kiRiyena ninaimin – http://divyaprabandham.koyil.org/index.php/2016/06/thiruvaimozhi-2-10-6-kiriyena-ninaimin/ – English translation. Full series can be viewed at http://divyaprabandham.koyil.org/index.php/thiruvaimozhi/ . thiruvAimozhi 2.9 – English e-book link available at http://divyaprabandham.koyil.org/index.php/2015/11/thiruvaimozhi-2nd-centum/ and http://divyaprabandham.koyil.org/index.php/e-books/ . Thanks to parAsara (pradeep) swamy for preparing the e-book. SrIperumbUthUr – Ani pUrattAdhi (yesterday) – http://sriperumbuthur.blogspot.com/2016/06/june-2016-week-5.html . SrIvaishNava granthams – SrIvaishNava lakshaNam Part 9 (Understanding the greatness of SrIvaishNavas – Part 2) – https://srivaishnavagranthamshindi.wordpress.com/2016/06/25/srivaishnava-lakshanam-9/ based on http://ponnadi.blogspot.in/2012/08/srivaishnava-lakshanam-9.html – Hindi translation by kEshav swamy and jAnaki ammangar . Full series available at https://srivaishnavagranthamshindi.wordpress.com/srivaishnava-lakshanam/ . 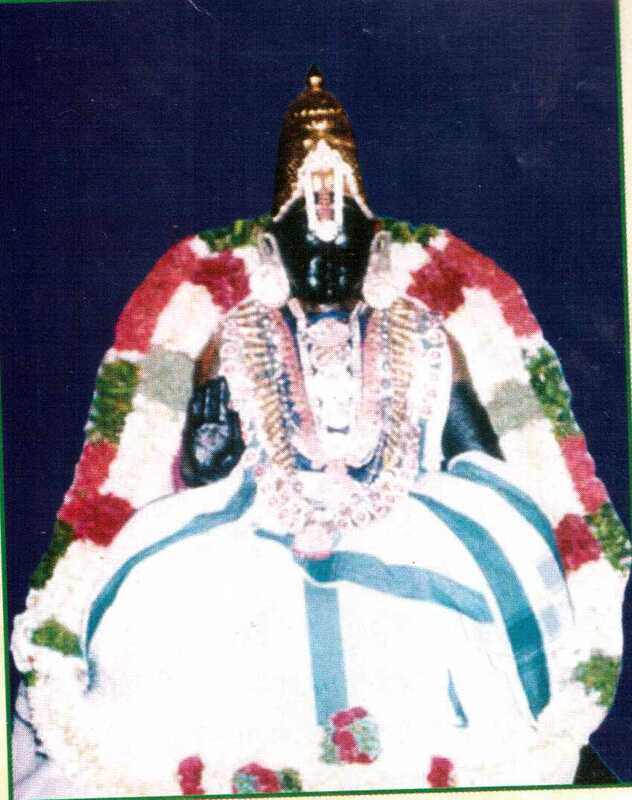 thiruvAimozhi 2.10.5 – thiRamudai valaththAl – http://divyaprabandham.koyil.org/index.php/2016/06/thiruvaimozhi-2-10-5-thiramudai-valaththal/ – English translation. Full series can be viewed at http://divyaprabandham.koyil.org/index.php/thiruvaimozhi/ . rAmAnusa nURRanthAdhi pAsuram 25 – http://divyaprabandham.koyil.org/index.php/2016/06/ramanusa-nurranthadhi-25/ – English translation by raghurAm swamy. Full series can be viewed at http://divyaprabandham.koyil.org/index.php/2015/07/ramanusa-nurranthadhi/ . SrIperumbUthUr – Ani sathayam, Friday (yesterday) – http://sriperumbuthur.blogspot.com/2016/06/june-2016-week-4.html . guru paramaparai – mARanEri nambi – life and glories in thamizh – https://guruparamparaitamil.wordpress.com/2016/06/25/maraneri-nambi/ based on https://guruparamparai.wordpress.com/2013/03/02/maraneri-nambi/ – new article by renga rAmAnujam swamy . Please visit https://guruparamparaitamil.wordpress.com/2015/03/14/introduction-2/ to see the full list. dhivya prabandham – thiruvAimozhi 2.10.4 – karumavan pAsam – http://divyaprabandham.koyil.org/index.php/2016/06/thiruvaimozhi-2-10-4-karumavan-pasam/ – English translation. Full series can be viewed at http://divyaprabandham.koyil.org/index.php/thiruvaimozhi/ . This entry was posted in Uncategorized on June 25, 2016 by Sarathy Thothathri. SrIperumbUthUr – Ani avittam, Friday (yesterday) – http://sriperumbuthur.blogspot.com/2016/06/june-2016-week-4.html . SrIvaishNava granthams – SrIvaishNava lakshaNam Part 8 (Understanding the greatness of SrIvaishNavas – Part 1) – https://srivaishnavagranthamshindi.wordpress.com/2016/06/24/srivaishnava-lakshanam-8/ based on http://ponnadi.blogspot.in/2012/08/srivaishnava-lakshanam-8.html – Hindi translation by kEshav swamy and jAnaki ammangar . Full series available at https://srivaishnavagranthamshindi.wordpress.com/srivaishnava-lakshanam/ . dhivya prabandham – thiruvAimozhi 2.10.3 – payanalla seydhu – http://divyaprabandham.koyil.org/index.php/2016/06/thiruvaimozhi-2-10-3-payanalla-seydhu/ – English translation. Full series can be viewed at http://divyaprabandham.koyil.org/index.php/thiruvaimozhi/ . SrIperumbUthUr – Ani sravaNam (yesterday) – http://sriperumbuthur.blogspot.com/2016/06/june-2016-week-4.html . thirumazhisai – brahmOthsavam day 9 (yesterday) – http://thirumazhisai.koyil.org/?p=440 . thiruvallikkENi – narasimhar brahmOthsavam days 8 and 9 (up to yesterday) – http://thiruvallikkeni.koyil.org/?p=573 . SrIvaishNava granthams – Divine revelations of lOkAchArya – Part 1 – https://srivaishnavagranthamshindi.wordpress.com/2016/06/22/divine-revelations-of-lokacharya-1/ based on http://ponnadi.blogspot.in/2013/07/divine-revelations-of-lokacharya-1.html – Hindi translation by kArthik swamy . Full series available at https://srivaishnavagranthamshindi.wordpress.com/divine-revelations-of-lokacharya/ . thiruvAimozhi 2.10.2 – sadhiriLa madavAr – http://divyaprabandham.koyil.org/index.php/2016/06/thiruvaimozhi-2-10-2-sadhirila-madavar/ – English translation. Full series can be viewed at http://divyaprabandham.koyil.org/index.php/thiruvaimozhi/ . Arththi prabandham – pAsuram 9 – http://divyaprabandham.koyil.org/index.php/2016/06/arththi-prabandham-9/ – English translation by santhAnam swamy. Full series can be viewed at – http://divyaprabandham.koyil.org/index.php/2016/05/arththi-prabandham/ . SrIperumbUthUr – Ani uthrAdam (yesterday) – http://sriperumbuthur.blogspot.com/2016/06/june-2016-week-4.html . thirumazhisai – brahmOthsavam day 8 (yesterday) – http://thirumazhisai.koyil.org/?p=440 . thiruvAimozhi 2.10.1 – kiLaroLi iLamai – http://divyaprabandham.koyil.org/index.php/2016/06/thiruvaimozhi-2-10-1-kilaroli-ilamai/ – English translation. Full series can be viewed at http://divyaprabandham.koyil.org/index.php/thiruvaimozhi/ . chathu: SlOkI – Hindi e-book link available at http://divyaprabandham.koyil.org/index.php/2016/01/chathu-sloki-hindi/ and http://divyaprabandham.koyil.org/index.php/e-books/ . Thanks to lakshmikumAr swamy for preparing the e-book. Arththi prabandham – pAsuram 8 – http://divyaprabandham.koyil.org/index.php/2016/06/arththi-prabandham-8/ – English translation by santhAnam swamy. Full series can be viewed at – http://divyaprabandham.koyil.org/index.php/2016/05/arththi-prabandham/ . SrIperumbUthUr – Ani pUrAdam, kOdai uthsavam day 5 (yesterday) – http://sriperumbuthur.blogspot.com/2016/06/june-2016-week-4.html . thirumazhisai – brahmOthsavam day 7 (yesterday) – http://thirumazhisai.koyil.org/?p=440 . thiruvallikkENi – narasimhar brahmOthsavam days 6 and 7 (up to yesterday) – http://thiruvallikkeni.koyil.org/?p=573 . guru paramaparai – kidAmbi AchchAn – life and glories in thamizh – https://guruparamparaitamil.wordpress.com/2016/06/21/kidambi-achan/ based on http://guruparamparai.wordpress.com/2013/03/31/kidambi-achan/ – new article by sadagopan swamy . Please visit https://guruparamparaitamil.wordpress.com/2015/03/14/introduction-2/ to see the full list. Commencement of thiruvAimozhi 2.10 decad – kiLaroLi – http://divyaprabandham.koyil.org/index.php/2016/06/thiruvaimozhi-2-10-kilaroli/ – English translation. Full series can be viewed at http://divyaprabandham.koyil.org/index.php/thiruvaimozhi/ . Audio of this decad available at http://divyaprabandham.koyil.org/index.php/2016/06/thiruvaimozhi-2-10-audio/ . rAmAnusa nURRanthAdhi pAsuram 24 – http://divyaprabandham.koyil.org/index.php/2016/06/ramanusa-nurranthadhi-24/ – English translation by raghurAm swamy. Full series can be viewed at http://divyaprabandham.koyil.org/index.php/2015/07/ramanusa-nurranthadhi/ . SrIperumbUthUr – Ani thirumUlam, kOdai uthsavam day 4 (yesterday) – http://sriperumbuthur.blogspot.com/2016/06/june-2016-week-4.html . thirumazhisai – brahmOthsavam day 6 (yesterday) – http://thirumazhisai.koyil.org/?p=440 . SrIvaishNava granthams – SrIvaishNava lakshaNam Part 7 (apachArams to avoid) – https://srivaishnavagranthamshindi.wordpress.com/2016/06/20/srivaishnava-lakshanam-7/ based on http://ponnadi.blogspot.in/2012/08/srivaishnava-lakshanam-7.html – Hindi translation by kEshav swamy and jAnaki ammangar . Full series available at https://srivaishnavagranthamshindi.wordpress.com/srivaishnava-lakshanam/ . thiruvAimozhi 2.9.11 – vidalil chakkaraththu – http://divyaprabandham.koyil.org/index.php/2016/06/thiruvaimozhi-2-9-11-vidalil-chakkaraththu/ – English translation. Full series can be viewed at http://divyaprabandham.koyil.org/index.php/thiruvaimozhi/ . Arththi prabandham – pAsuram 7 – http://divyaprabandham.koyil.org/index.php/2016/06/arththi-prabandham-7/ – English translation by santhAnam swamy. Full series can be viewed at – http://divyaprabandham.koyil.org/index.php/2016/05/arththi-prabandham/ . yathirAja vimSathi SlOkams 10 to 14 – Hindi translation uploaded by T S lakshminarasimhan swamy. Full series can be viewed at http://divyaprabandham.koyil.org/index.php/2016/03/yathiraja-vimsathi-hindi/ . Ani thirumUlam – SrISailESa dhayApAthram thaniyan avathAra dhinam today – Read more about it at http://ponnadi.blogspot.in/2012/08/srivaishnava-lakshanam-12.html . SrIperumbUthUr – Ani kEttai, kOdai uthsavam day 3 (yesterday) – http://sriperumbuthur.blogspot.com/2016/06/june-2016-week-4.html . thirumazhisai – brahmOthsavam day 5 (yesterday) – http://thirumazhisai.koyil.org/?p=440 . thiruvallikkENi – narasimhar brahmOthsavam day 5 (yesterday) – http://thiruvallikkeni.koyil.org/?p=573 . SrIvaishNava granthams – SrIvaishNava lakshaNam Part 6 (Glorifying SrIvaishNavas) – https://srivaishnavagranthamshindi.wordpress.com/2016/06/19/srivaishnava-lakshanam-6/ based on http://ponnadi.blogspot.in/2012/08/srivaishnava-lakshanam-6.html – Hindi translation by kEshav swamy and jAnaki ammangar . Full series available at https://srivaishnavagranthamshindi.wordpress.com/srivaishnava-lakshanam/ . thiruvAimozhi 2.9.10 – EREl Ezhum – http://divyaprabandham.koyil.org/index.php/2016/06/thiruvaimozhi-2-9-10-erel-ezhum/ – English translation. Full series can be viewed at http://divyaprabandham.koyil.org/index.php/thiruvaimozhi/ . Arththi prabandham – pAsuram 6 – http://divyaprabandham.koyil.org/index.php/2016/06/arththi-prabandham-6/ – English translation by santhAnam swamy. Full series can be viewed at – http://divyaprabandham.koyil.org/index.php/2016/05/arththi-prabandham/ . pavaLavaNNam – Ani anusham – nAthamunigaL (yesterday) – http://www.varavaramuni.com/announcements/2016anianusham-thiruppavalavannam . SrIperumbUthUr – Ani anusham, kOdai uthsavam day 2, nAthamunigaL (yesterday) – http://sriperumbuthur.blogspot.com/2016/06/june-2016-week-3.html . thirumazhisai – brahmOthsavam day 4 (yesterday) – http://thirumazhisai.koyil.org/?p=440 . thiruvallikkENi – narasimhar brahmOthsavam day 4 (yesterday) – http://thiruvallikkeni.koyil.org/?p=573 . guru paramaparai – kOyil komANdUr iLayavilli AchchAn – life and glories in thamizh – https://guruparamparaitamil.wordpress.com/2016/06/18/koil-komandur-ilayavilli-achan/ based on http://guruparamparai.wordpress.com/2013/04/03/koil-komandur-ilayavilli-achan/ – new article by sadagopan swamy . Please visit https://guruparamparaitamil.wordpress.com/2015/03/14/introduction-2/ to see the full list. virOdhi parihArangaL part 13 – https://srivaishnavagranthamshindi.wordpress.com/2016/06/18/virodhi-pariharangal-13/ based on http://ponnadi.blogspot.in/2014/02/virodhi-pariharangal-13.html – hindi translation by kEshav swamy. Full series can be viewed at https://srivaishnavagranthamshindi.wordpress.com/virodhi-pariharangal/ . SrIvaishNava lakshaNam Part 5 (Internal qualities) – https://srivaishnavagranthamshindi.wordpress.com/2016/06/18/srivaishnava-lakshanam-5/ based on http://ponnadi.blogspot.in/2012/08/srivaishnava-lakshanam-5.html – Hindi translation by kEshav swamy and jAnaki ammangar . Full series available at https://srivaishnavagranthamshindi.wordpress.com/srivaishnava-lakshanam/ . thiruvAimozhi 2.8 – English e-book link available at http://divyaprabandham.koyil.org/index.php/2015/11/thiruvaimozhi-2nd-centum/ and http://divyaprabandham.koyil.org/index.php/e-books/ . Thanks to parAsara (pradeep) swamy for preparing the e-book. Arththi prabandham – pAsuram 5 – http://divyaprabandham.koyil.org/index.php/2016/06/arththi-prabandham-5/ – English translation by santhAnam swamy. Full series can be viewed at – http://divyaprabandham.koyil.org/index.php/2016/05/arththi-prabandham/ . This entry was posted in Uncategorized on June 18, 2016 by Sarathy Thothathri. SrIperumbUthUr – Ani visAgam, kOdai uthsavm day 1 (yesterday) – http://sriperumbuthur.blogspot.com/2016/06/june-2016-week-3.html . thiruvallikkENi – narasimhar brahmOthsavam days 2 and 3 (upto yesterday) – http://thiruvallikkeni.koyil.org/?p=573 . SrIvaishNava lakshaNam Part 4 (guru paramparai) – https://srivaishnavagranthamshindi.wordpress.com/2016/06/17/srivaishnava-lakshanam-4/ based on http://ponnadi.blogspot.in/2012/07/srivaishnava-lakshanam-4.html – Hindi translation by kEshav swamy and jAnaki ammangar . Full series available at https://srivaishnavagranthamshindi.wordpress.com/srivaishnava-lakshanam/ . Simple Guide to SrIvaishNavam – pancha samskAram – https://srivaishnavagranthamstelugu.wordpress.com/2016/06/04/simple-guide-to-srivaishnavam-pancha-samskaram/ based on http://ponnadi.blogspot.in/2015/12/simple-guide-to-srivaishnavam-pancha-samskaram.html – Telugu translation by shashidhar swamy. Full series can be viewed at https://srivaishnavagranthamstelugu.wordpress.com/simple-guide-to-srivaishnavam/ . thiruvAimozhi 2.9.9 – yAnE ennai – http://divyaprabandham.koyil.org/index.php/2016/06/thiruvaimozhi-2-9-9-yane-ennai/ – English translation. Full series can be viewed at http://divyaprabandham.koyil.org/index.php/thiruvaimozhi/ . Arththi prabandham – pAsuram 4 – http://divyaprabandham.koyil.org/index.php/2016/06/arththi-prabandham-4/ – English translation by santhAnam swamy. Full series can be viewed at – http://divyaprabandham.koyil.org/index.php/2016/05/arththi-prabandham/ . SrIperumbUthUr – Ani swAthi, vasanthOthsavam day 5 (yesterday) – http://sriperumbuthur.blogspot.com/2016/06/june-2016-week-3.html . SrIvaishNava granthams – SrIvaishNava lakshaNam Part 3 (AchArya-Sishya sambandham) – https://srivaishnavagranthamshindi.wordpress.com/2016/06/16/srivaishnava-lakshanam-3/ based on https://ponnadi.blogspot.in/2012/07/srivaishnava-lakshanam-3.html – Hindi translation by kEshav swamy and jAnaki ammangar . Full series available at https://srivaishnavagranthamshindi.wordpress.com/srivaishnava-lakshanam/ . thiruvAimozhi 2.9.8 – ekkAlaththu endhaiyAy – http://divyaprabandham.koyil.org/index.php/2016/06/thiruvaimozhi-2-9-8-ekkalaththu-endhaiyay/ – English translation. Full series can be viewed at http://divyaprabandham.koyil.org/index.php/thiruvaimozhi/ . Arththi prabandham – pAsuram 3 – http://divyaprabandham.koyil.org/index.php/2016/06/arththi-prabandham-3/ – English translation by santhAnam swamy. Full series can be viewed at – http://divyaprabandham.koyil.org/index.php/2016/05/arththi-prabandham/ . SrIperumbUthUr – Ani chithrai, vasanthOthsavam day 4 (yesterday) – http://sriperumbuthur.blogspot.com/2016/06/june-2016-week-3.html . thiruvallikkENi – narasimhar brahmOthsavam day 1 (yesterday) – http://thiruvallikkeni.koyil.org/?p=573 . SrIvaishNava granthams – Simple Guide to SrIvaishNavam – thamizh e-book link available at https://srivaishnavagranthamstamil.wordpress.com/simple-guide-to-srivaishnavam/ and https://srivaishnavagranthams.wordpress.com/e-books/ . Thanks to parAsara (pradeep) swamy for preparing the e-book. thiruvAimozhi 2.9.7 – vArAy – http://divyaprabandham.koyil.org/index.php/2016/06/thiruvaimozhi-2-9-7-varay/ – English translation. Full series can be viewed at http://divyaprabandham.koyil.org/index.php/thiruvaimozhi/ . Arththi prabandham – pAsuram 2 – http://divyaprabandham.koyil.org/index.php/2016/06/arththi-prabandham-2/ – English translation by santhAnam swamy. Full series can be viewed at – http://divyaprabandham.koyil.org/index.php/2016/05/arththi-prabandham/ . SrIperumbUthUr – vaikAsi hastham, vasanthOthsavam day 3 (yesterday) – http://sriperumbuthur.blogspot.com/2016/06/june-2016-week-3.html . charamOpAya nirNayam – SrI rAmAnuja’s avathAra rahasyam – https://srivaishnavagranthamstelugu.wordpress.com/2016/06/14/charamopaya-nirnayam-ramanujar-avathara-rahasyam/ based on https://ponnadi.blogspot.in/2012/12/charamopaya-nirnayam-ramanujar-avathAra-rahasyam.html – telugu translation (new article) by SrInivAsa rAmAnuja swamy. Full series can be viewed at https://srivaishnavagranthamstelugu.wordpress.com/charamopaya-nirnayam/ . Simple Guide to SrIvaishNavam – Introduction – https://srivaishnavagranthamstelugu.wordpress.com/2016/06/14/simple-guide-to-srivaishnavam-introduction/ based on http://ponnadi.blogspot.in/2015/12/simple-guide-to-srivaishnavam-introduction.html – Telugu translation by shashidhar swamy. Full series can be viewed at https://srivaishnavagranthamstelugu.wordpress.com/simple-guide-to-srivaishnavam/ . dhivya prabandham – thiruvAimozhi 2.9.6 – magizhkoL dheyvam – http://divyaprabandham.koyil.org/index.php/2016/06/thiruvaimozhi-2-9-6-magizhkol-dheyvam/ – English translation. Full series can be viewed at http://divyaprabandham.koyil.org/index.php/thiruvaimozhi/ . SrIperumbUthUr – vaikAsi uthram, vasanthOthsavam day 2 (yesterday) – http://sriperumbuthur.blogspot.com/2016/06/june-2016-week-3.html . vAnamAmalai – vasanthOthsavam day 10 (yesterday) – http://vanamamalai.koyil.org/?p=824 . SrIvaishNava granthams – thulA mAsa anubhavam – Hindi e-book link available at https://srivaishnavagranthamshindi.wordpress.com/thula-masa-anubhavam/ and https://srivaishnavagranthams.wordpress.com/e-books/ . Thanks to lakshmikumAr swamy for preparing the e-book. dhivya prabandham – thiruvAimozhi 2.9.5 – siRappil vIdu – http://divyaprabandham.koyil.org/index.php/2016/06/thiruvaimozhi-2-9-5-sirappil-vidu/ – English translation. Full series can be viewed at http://divyaprabandham.koyil.org/index.php/thiruvaimozhi/ . SrIperumbUthUr – vaikAsi pUram, vasanthOthsavam day 1 (yesterday) – http://sriperumbuthur.blogspot.com/2016/06/june-2016-week-3.html . thiruvAimozhi 2.9.4 – enakkE Atchey – http://divyaprabandham.koyil.org/index.php/2016/06/thiruvaimozhi-2-9-4-enakke-atchey/ – English translation. Full series can be viewed at http://divyaprabandham.koyil.org/index.php/thiruvaimozhi/ . yathirAja vimSathi SlOkam 9 – http://divyaprabandham.koyil.org/index.php/2016/06/yathiraja-vimsathi-hindi-9/ – Hindi translation by T S lakshminarasimhan swamy. Full series can be viewed at http://divyaprabandham.koyil.org/index.php/2016/03/yathiraja-vimsathi-hindi/ . SrIperumbUthUr – vaikAsi magam (yesterday) – http://sriperumbuthur.blogspot.com/2016/06/june-2016-week-2.html . dhivya prabandham – thiruvAimozhi 2.9.3 – seyyEl thIvinai – http://divyaprabandham.koyil.org/index.php/2016/06/thiruvaimozhi-2-9-3-seyyel-thivinai/ – English translation. Full series can be viewed at http://divyaprabandham.koyil.org/index.php/thiruvaimozhi/ . This entry was posted in Uncategorized on June 11, 2016 by Sarathy Thothathri. SrIperumbUthUr – Friday, vaikAsi Ayilyam (yesterday) – http://sriperumbuthur.blogspot.com/2016/06/june-2016-week-2.html . thiruvallikkENi – vasanthOthsavam day 2 (day before yesterday) – http://thiruvallikkeni.koyil.org/?p=478 . SrIvaishNava granthams – thathva thrayam – Commencement of Hindi translation – https://srivaishnavagranthamshindi.wordpress.com/thathva-thrayam/ based on http://ponnadi.blogspot.in/p/thathva-thrayam.html . Translation by bhagavathi ammangar. dhivya prabandham – thiruvAimozhi 2.9.2 – IdhE yAn – http://divyaprabandham.koyil.org/index.php/2016/06/thiruvaimozhi-2-9-2-idhe-yan/ – English translation. Full series can be viewed at http://divyaprabandham.koyil.org/index.php/thiruvaimozhi/ . madhuramangalam – punarpUsam (day before yesterday) – http://madhuramangalam.koyil.org/?p=292 . SrIperumbUthUr – vaikAsi pUsam (yesterday) – http://sriperumbuthur.blogspot.com/2016/06/june-2016-week-2.html . thiruvallikkENi – vasanthOthsavam day 1 (day before yesterday) – http://thiruvallikkeni.koyil.org/?p=478 . vAnamAmalai – vasanthOthsavam day 6 (yesterday) – http://vanamamalai.koyil.org/?p=824 . SrIvaishNava granthams – Simple Guide to SrIvaishNavam – References – https://srivaishnavagranthamshindi.wordpress.com/2016/06/09/simple-guide-to-srivaishnavam-references/ based on http://ponnadi.blogspot.in/2016/01/simple-guide-to-srivaishnavam-references.html – Hindi translation by bhagavathi ammangar. Full series can be viewed at https://srivaishnavagranthamshindi.wordpress.com/simple-guide-to-srivaishnavam/ . With this, the series comes to an end. We will prepare and publish the e-book soon. dhivya prabandham – thiruvAimozhi 2.9.1 – emmA vIttu – http://divyaprabandham.koyil.org/index.php/2016/06/thiruvaimozhi-2-9-1-emma-vittu/ – English translation. Full series can be viewed at http://divyaprabandham.koyil.org/index.php/thiruvaimozhi/ . SrIperumbUthUr – vaikAsi punarpUsam (yesterday) – http://sriperumbuthur.blogspot.com/2016/06/june-2016-week-2.html . SrIvaishNava granthams – Simple Guide to SrIvaishNavam – Reader’s guide – https://srivaishnavagranthamstelugu.wordpress.com/2016/06/08/simple-guide-to-srivaishnavam-readers-guide/ based on https://srivaishnavagranthams.wordpress.com/readers-guide/ – Telugu translation by shashidhar swamy. Full series can be viewed at https://srivaishnavagranthamstelugu.wordpress.com/simple-guide-to-srivaishnavam/ . Commencement of thiruvAimozhi 2.9 decad – emmA vIdu – http://divyaprabandham.koyil.org/index.php/2016/06/thiruvaimozhi-2-9-emmavidu/ – English translation. Full series can be viewed at http://divyaprabandham.koyil.org/index.php/thiruvaimozhi/ . Audio of this decad available at http://divyaprabandham.koyil.org/index.php/2016/06/thiruvaimozhi-2-9-audio/ . Arththi prabandham – pAsuram 1 – http://divyaprabandham.koyil.org/index.php/2016/06/arththi-prabandham-1/ – English translation by santhAnam swamy. Full series can be viewed at – http://divyaprabandham.koyil.org/index.php/2016/05/arththi-prabandham/ . SrIperumbUthUr – vaikAsi thiruvAdhirai (yesterday) – http://sriperumbuthur.blogspot.com/2016/06/june-2016-week-2.html . vAnamAmalai – vasanthOthsavam day 4 (yesterday) – http://vanamamalai.koyil.org/?p=824 . SrI rAmAnuja dharsanam – e-magazine – June/vaikAsi – english/thamizh Issues recently released and can be viewed at http://www.varavaramuni.com/home/sriramanuja-dharsanam-magazine/english and http://www.varavaramuni.com/home/sriramanuja-dharsanam-magazine/thamizh . SrIvaishNava granthams – Simple Guide to SrIvaishNavam – Important points – https://srivaishnavagranthamshindi.wordpress.com/2016/06/07/simple-guide-to-srivaishnavam-important-points/ based on http://ponnadi.blogspot.in/2016/01/simple-guide-to-srivaishnavam-important-points.html – Hindi translation by bhagavathi ammangar. Full series can be viewed at https://srivaishnavagranthamshindi.wordpress.com/simple-guide-to-srivaishnavam/ . 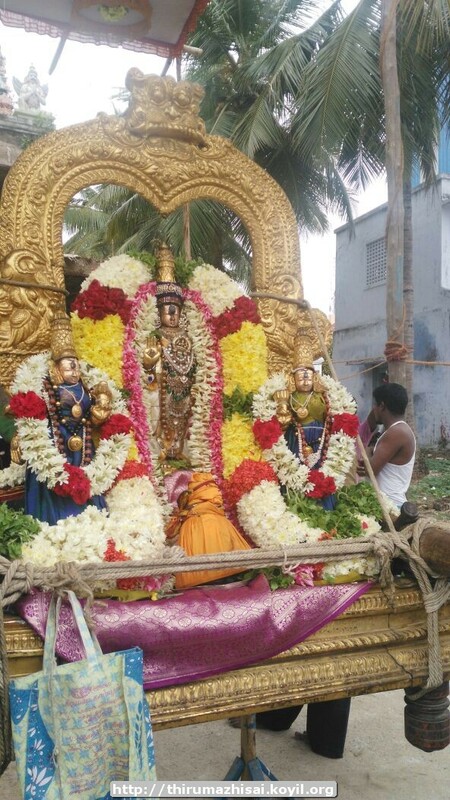 SrIperumbUthUr – vaikAsi mrgaSIrsham (yesterday) – http://sriperumbuthur.blogspot.com/2016/06/june-2016-week-2.html . vAnamAmalai – vasanthOthsavam day 3 (yesterday) – http://vanamamalai.koyil.org/?p=824 . SrIvaishNava granthams – Simple Guide to SrIvaishNavam – apachArams to avoid – https://srivaishnavagranthamshindi.wordpress.com/2016/06/06/simple-guide-to-srivaishnavam-apacharams/ based on http://ponnadi.blogspot.com/2015/12/simple-guide-to-srivaishnavam-apacharams.html – Hindi translation by bhagavathi ammangar. Full series can be viewed at https://srivaishnavagranthamshindi.wordpress.com/simple-guide-to-srivaishnavam/ . thiruvAimozhi 2.7 – English e-book link available at http://divyaprabandham.koyil.org/index.php/2015/11/thiruvaimozhi-2nd-centum/ and http://divyaprabandham.koyil.org/index.php/e-books/ . Thanks to parAsara (pradeep) swamy for preparing the e-book. rAmAnusa nURRanthAdhi pAsuram 23 – http://divyaprabandham.koyil.org/index.php/2016/06/ramanusa-nurranthadhi-23/ – English translation by raghurAm swamy. Full series can be viewed at http://divyaprabandham.koyil.org/index.php/2015/07/ramanusa-nurranthadhi/ . Arththi prabandham – avathArikai (introduction) – http://divyaprabandham.koyil.org/index.php/2016/06/arththi-prabandham-introduction/ – English translation by santhAnam swamy. Full series can be viewed at – http://divyaprabandham.koyil.org/index.php/2016/05/arththi-prabandham/ . SrIperumbUthUr – vaikAsi rOhiNi (yesterday) – http://sriperumbuthur.blogspot.com/2016/06/june-2016-week-2.html . thiruvallikkENi – rOhiNi (yesterday) – http://thiruvallikkeni.koyil.org/?p=478 . vAnamAmalai – vasanthOthsavam days 1 and 2 – http://vanamamalai.koyil.org/?p=824 .
. Also, available at http://divyaprabandham.koyil.org/index.php/e-books/ . Thanks to vijayalakshmi ammangar and rengarAjan swamy for preparing the e-book. thiruvAimozhi 2.8.11 – kaN thalangaL – http://divyaprabandham.koyil.org/index.php/2016/06/thiruvaimozhi-2-8-11-kan-thalangal/ – English translation. Full series can be viewed at http://divyaprabandham.koyil.org/index.php/thiruvaimozhi/ . Arththi prabandham – thaniyans (invocation) – http://divyaprabandham.koyil.org/index.php/2016/06/arththi-prabandham-thaniyans/ – English translation by santhAnam swamy. Full series can be viewed at – http://divyaprabandham.koyil.org/index.php/2016/05/arththi-prabandham/ . SrIperumbUthUr – vaikAsi kArthigai (yesterday) – http://sriperumbuthur.blogspot.com/2016/06/june-2016-week-1.html . thiruvallikkENi – amAvAsyai (yesterday) – http://thiruvallikkeni.koyil.org/?p=478 . New video (stage drama) by young children from Seattle SrIvaishNava community on SrI rAmAnuja’s life – http://pillai.koyil.org/index.php/2016/06/video-drama-sri-ramanuja/ . SrIvaishNava granthams – Simple Guide to SrIvaishNavam – Commencement of telugu translation https://srivaishnavagranthamstelugu.wordpress.com/simple-guide-to-srivaishnavam/ based on http://ponnadi.blogspot.in/p/simple-guide-to-srivaishnavam.html . Translation by Sasidhar swamy. guru paramaparai – madhurakavi AzhwAr – life and glories in kannada – https://guruparamparaikannada.wordpress.com/2016/06/04/madhurakavi-azhwar/ based on http://guruparamparai.wordpress.com/2013/01/17/madhurakavi-azhwar/ – new article by MA pArthasArathy swamy. Please visit https://guruparamparaikannada.wordpress.com/2015/08/17/introduction-2/ to see the full list. dhivya prabandham – thiruvAimozhi 2.8.10 – sIrmai koL – http://divyaprabandham.koyil.org/index.php/2016/06/thiruvaimozhi-2-8-10-sirmai-kol/ – English translation. Full series can be viewed at http://divyaprabandham.koyil.org/index.php/thiruvaimozhi/ . This entry was posted in Uncategorized on June 4, 2016 by Sarathy Thothathri.